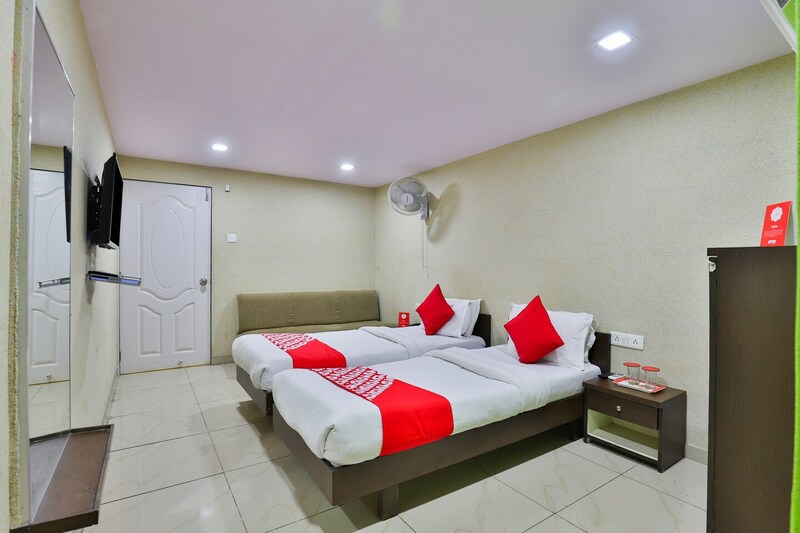 Hotel Vibrant Regency is located at CG Road, Ahmedabad. It is quite close to the Gandhigram Railway Station Some of the major attractions around are Lalbhai Dalpatbhai Museum, Sidi Saiyyed Mosque, Teen Darwaza and Mangaldas Ni Haweli. You can pick a room with a double bed or two single beds as per choice. The rooms and washrooms are also well-maintained all throughout. The hotel offers several amenities including card payment facility, laundry, TV, free Wi-Fi, speedy elevators, AC, geyser, and CCTV cameras. There are a number of restaurants located quite close to the hotel.